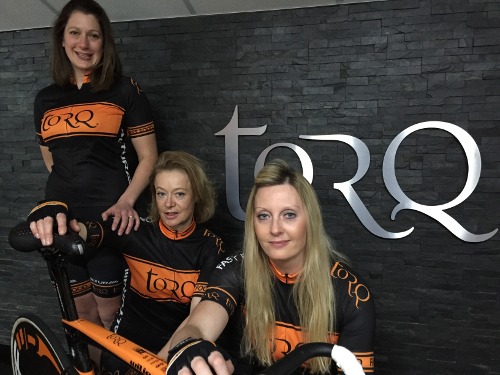 The 2015 season sees TORQ Fitness adding a Track Team to its already very successful MTB, Triathlon, Running and Swimming Performance Teams. 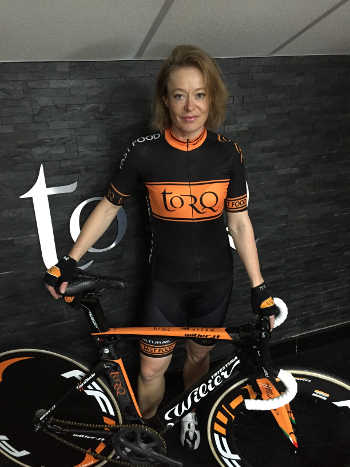 In its first year, the TORQ Performance Track Team will boast three highly successful women with titles at Elite National, plus World and European Masters, as well as Commonwealth games medals. 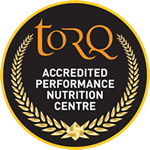 The team, which will of course be fuelled by TORQ nutrition, will ride custom-made Wilier carbon track frames with FFWD wheels, fitted with CeramicSpeed bearings and Dugast tyres. 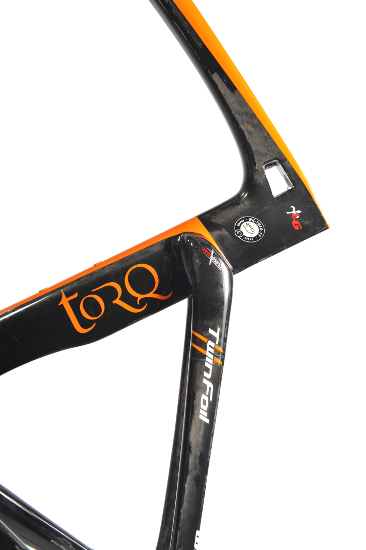 An impressive list of sponsors is already on board (see below), including Lake shoes, Limar helmets, Tifosi glasses, KMC chains, ithlete (HRV measurement) and Racewaredirect.co.uk computer mounts. The focus of the team will be the National Women’s Omnium series, criteriums and time trials, in a season which will build up to the elite National Track Championships, plus National and World Masters Track Championships. Janet Birkmyre has twice been an Elite British National Champion on the track (Scratch Race 2012, Derny 2008) and has picked up one or more Elite National Championship medals each year for the past 10 years. Using the racing at the National Women’s Omnium series to prepare for the big end of season goals has resulted in her winning this series seven times. She has won 27 World Masters titles, set four World Masters best times, and has never been beaten at the European Masters level from 22 starts. She has also won 41 National Masters titles. In addition to the track racing, Jan has had some memorable wins on the road. These include the Tour de France support race on The Mall, two victories at the Tour of Britain support race (Crystal Palace and Hyde Park) plus a win at the Hillingdon Grand Prix. Louise Haston was part of the para-cycling team that won Scotland’s first medal of the 2014 Commonwealth games – Louise and stoker, Aileen McGlynn, went on to win two silver medals. They now have their sights set on medalling at the Games on the Gold Coast in 2018. In the lead up to the games this year, Louise piloted a tandem to secure a third place and two bronze medals in tandem events that were part of the British National Championships. 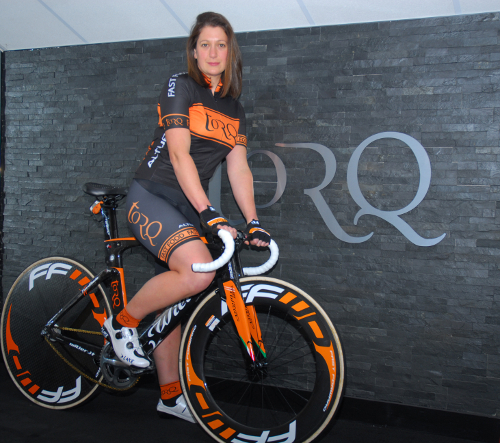 Whilst riding alone, Louise competed in the hugely successful and high profile Revolution Series.  Prior to this, Louise picked up a hat full of titles and medals from the Masters National Track Championships and the Scottish National Track Championships, as well as being a consistent competitor at the Elite British National Track Championships. Melanie Sneddon (née Williams) returned to racing in 2014 after taking a break to start a family. She has always had a reputation for aggressive riding on the road and track, and collected a number of very impressive results in time trials, including an elite bronze medal from the CTT National 10mile Time Trial Championships. 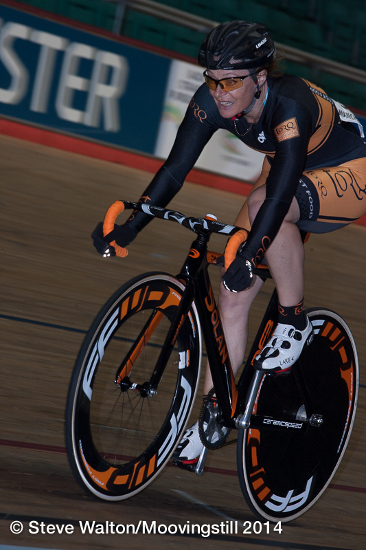 On the track, Mel has won a bronze medal in the Elite National Derny Champs and to-date she has collected an impressive 11 medals at World Masters, European Masters and National Masters Championships. In 2014 she was part of the team that won the World Masters Team Pursuit with a new World Masters best time. Even when she is not racing, she is looking for a cycling challenge and has ridden from Lhasa to Kathmandu (when it was still a dirt track) across the Himalayas, via Everest Base camp!